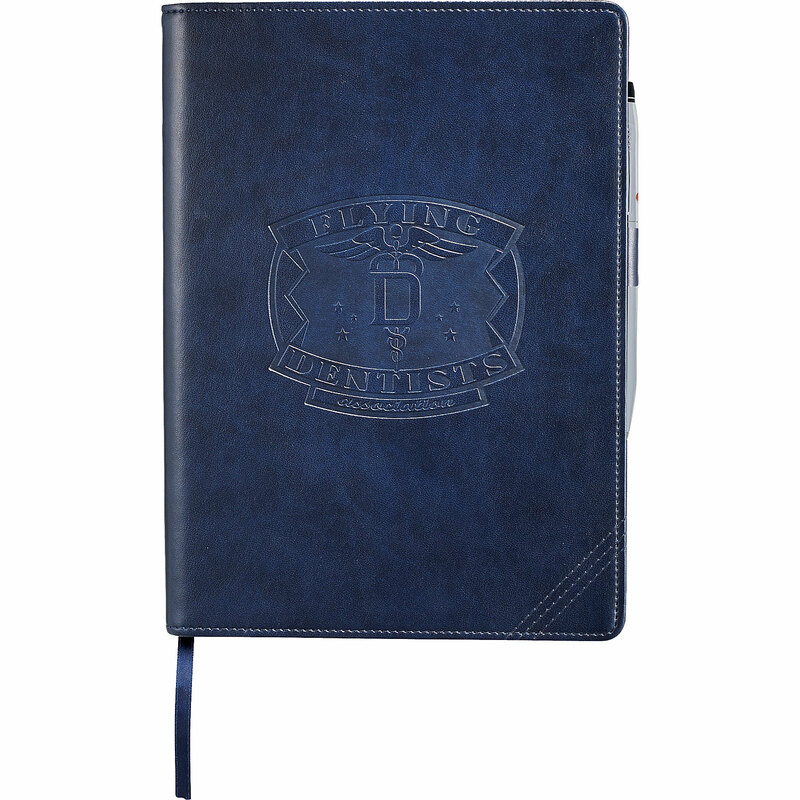 Product code: 18897 Category: Notebooks, Jotters & Journals. These bright TriPac’s give you the flexibility of using different cover materials in one set, all coordinated with a GraphicWrap! Each set comes with three BrightNotes which include 50 sheets of ruled 50# filler, rounded corners, and perfect-bound spines. The full-colour GraphicWrap encloses all three books. Select up to three different cover colours for your pack. 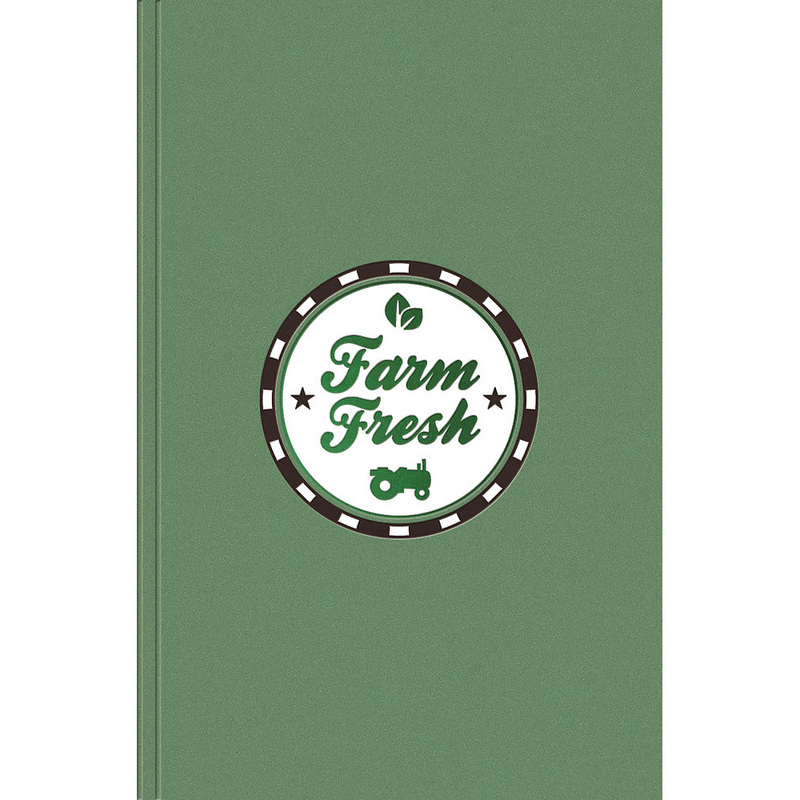 Setup Charges :$104.00Pricing includes a one colour imprint of same logo on each journal and a full colour imprint on graphicwrap* May vary according to product availability from supplier. ** Price subject to change without notice. Method : Foil Imprint / Full Colour Process Imprint Area : Journals: Max: 16 sq. in. Imprint in Black, White, Silver, or Gold only. 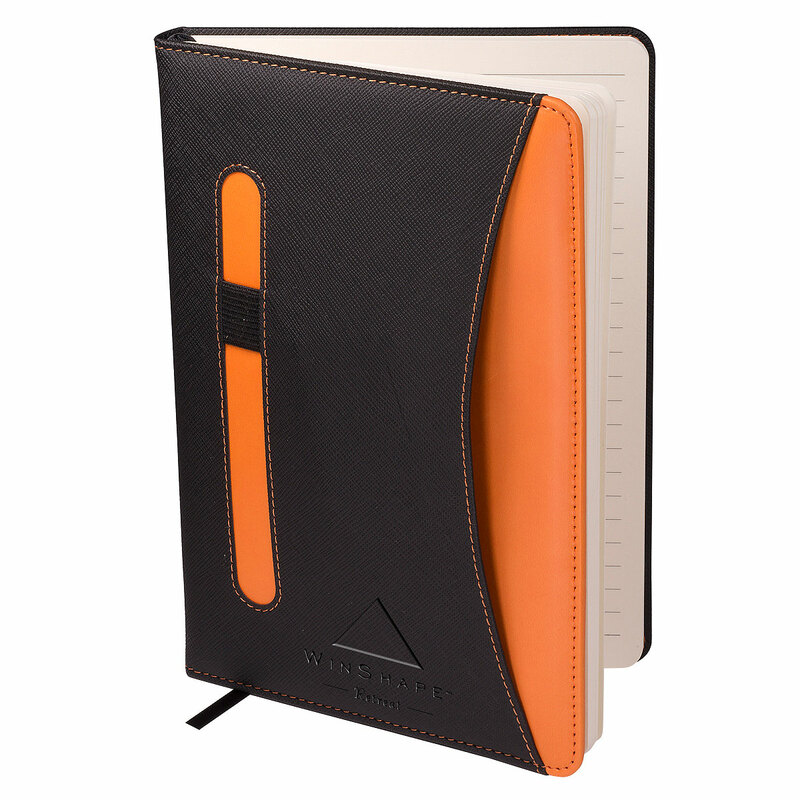 This classic notebook made from ultrahyde makes a great gift for employees or conference attendees. 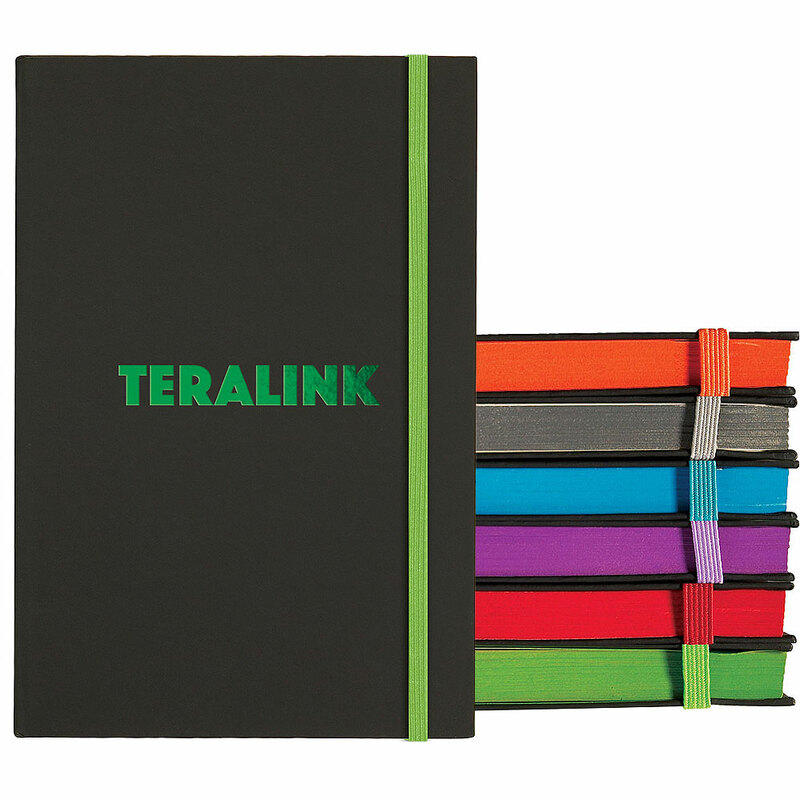 The notebook features detailed stitching, painted edge paper, pen loop and color matching ribbon page markers. 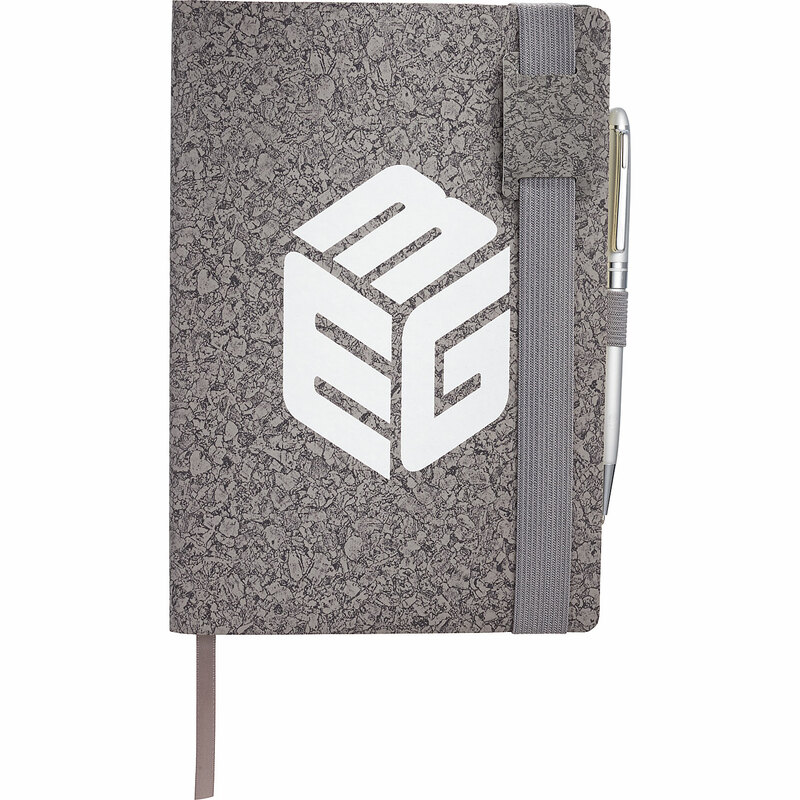 It includes 100 cool grey lined sheets and a business card pocket. 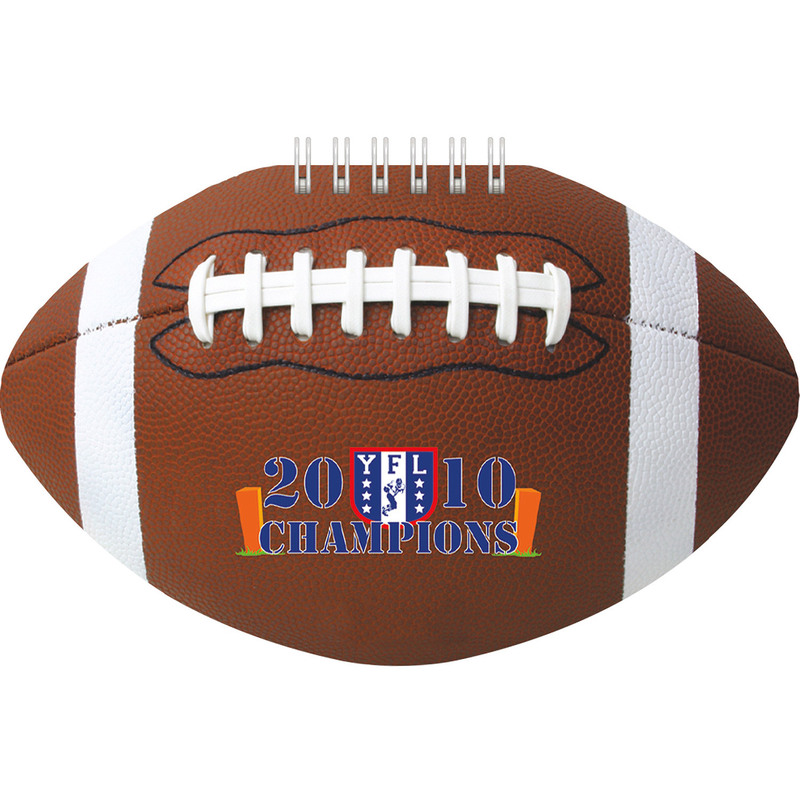 Great for meetings, training sessions, and the classroom! 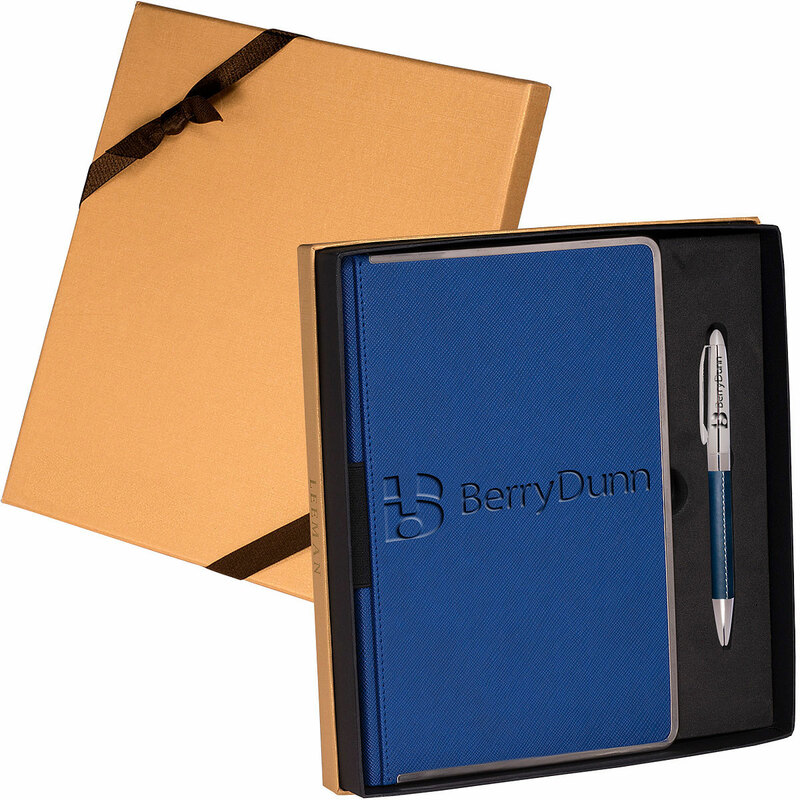 This two-tone journal features a textured Faux Leather cover with front pocket, elastic pen loop and satin bookmark. Contains 80 ruled pages. Jewel tone ColourFleck hues will add some pizzazz to your next meeting! This seminar pad has an eye-catching flexible, wraparound paper cover and contains 100 sheet of lined filler. Add a pop of colour to your meeting! The Colour Pop Journal from JournalBooks has a smooth, matte cover and includes 96 sheets of off-white ruled paper. The coloured edges and matching inside front/back cover, first page, elastic band closure is the perfect way to make your next giveaway stand out. Create a landscape to capture their attention! 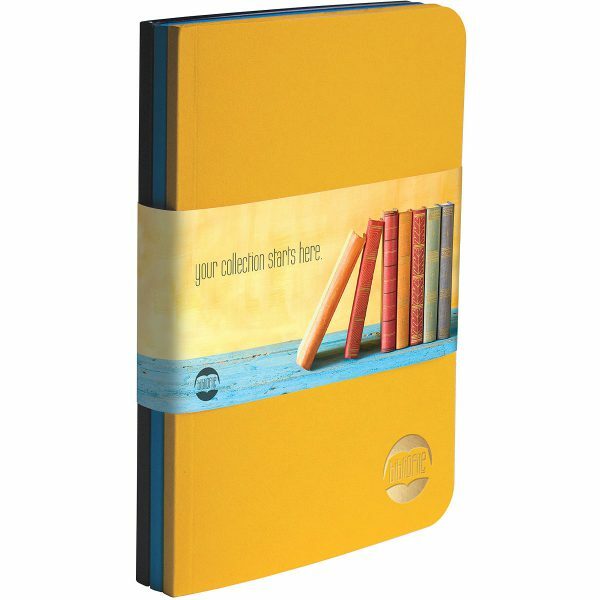 The ClearView Notebook has a clear Poly front cover that reveals your custom insert, perfect for your next conference. 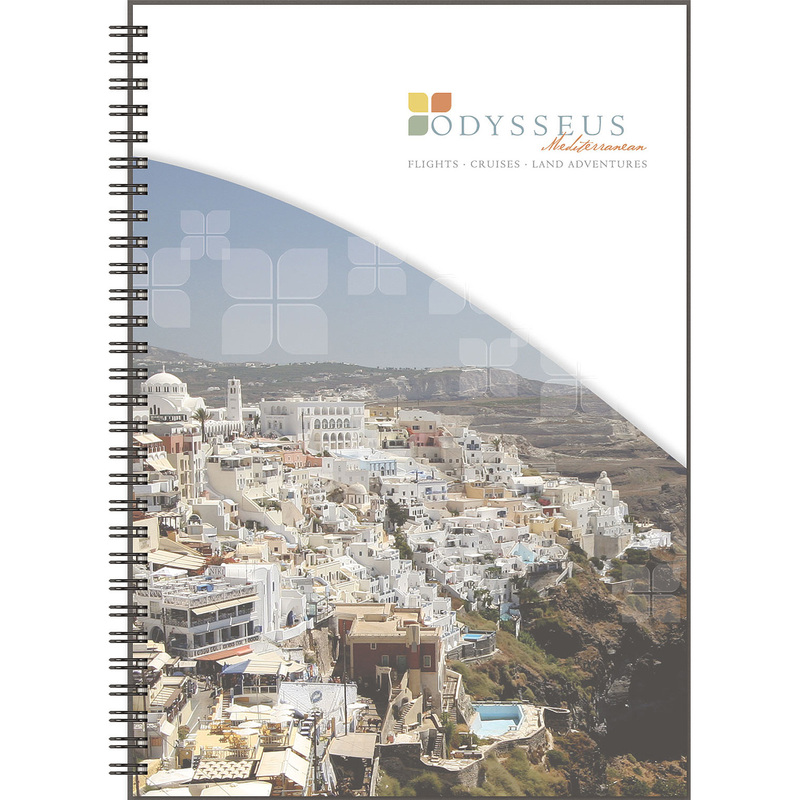 Features a black chipboard back cover, 100 sheets of ruled, graph, or blank filler, and stock important contacts and 3-year calendar page as last sheet. 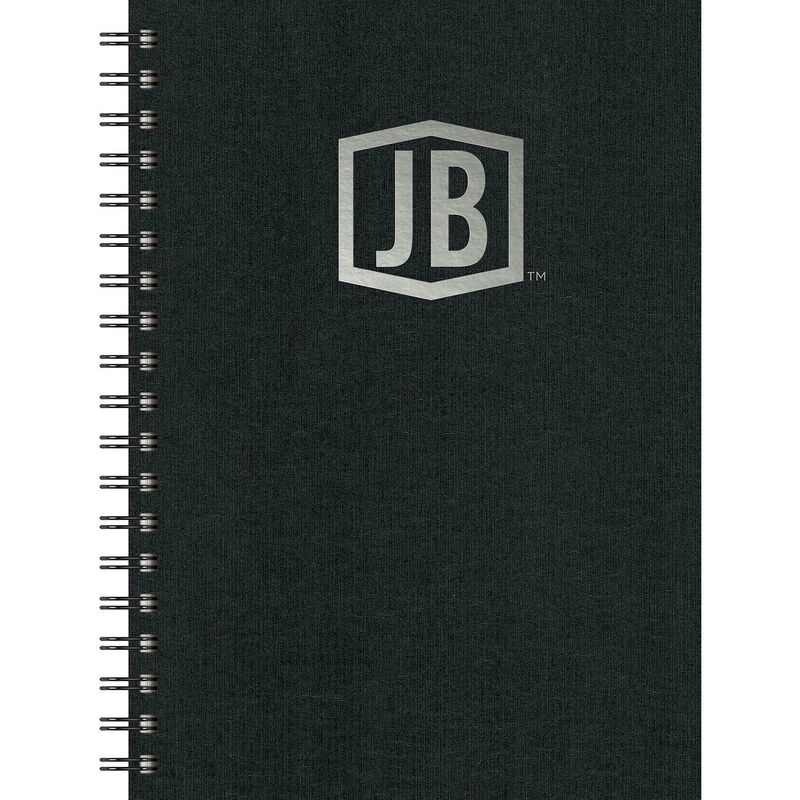 This unique notebook will make them want to notes at your next fundraising event! 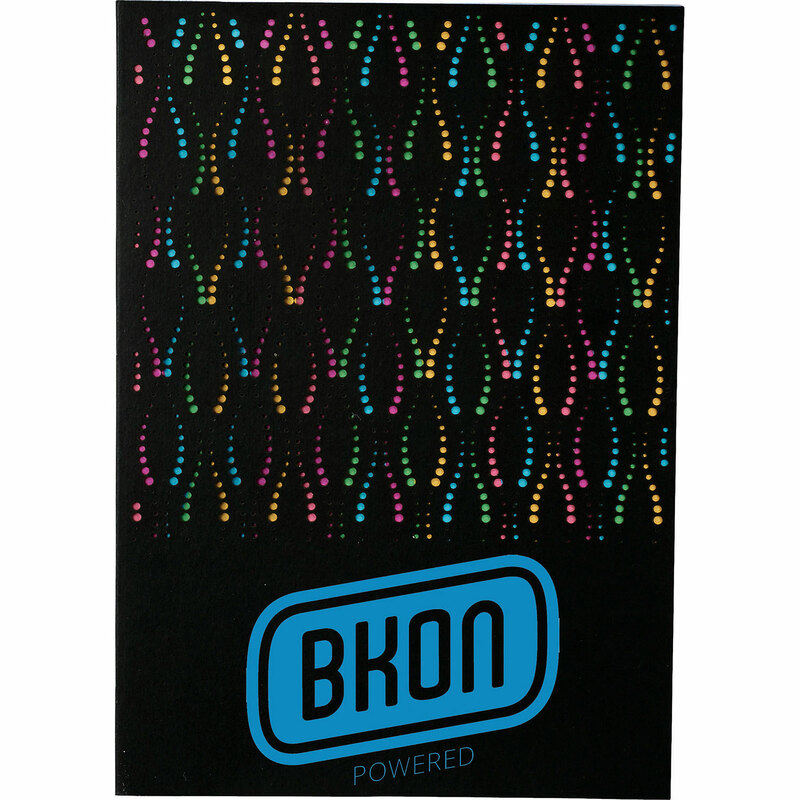 The 40 sheet bound notebook features a rainbow page and laser pattern cover for a multi-colour effect, and includes ruled paper.